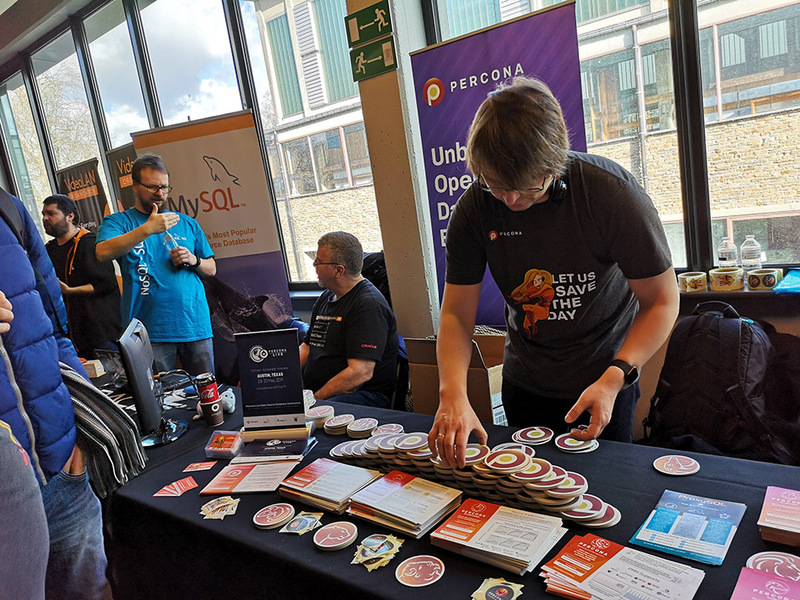 Percona enjoyed plenty of attention in the booth area where shared information about our open source, free-as-in-beer projects. We were in Brussels after all! Passing artist and open source enthusiast Sandra Dannenberg took a liking to our Percona logos and painted her own versions. They’re great aren’t they? 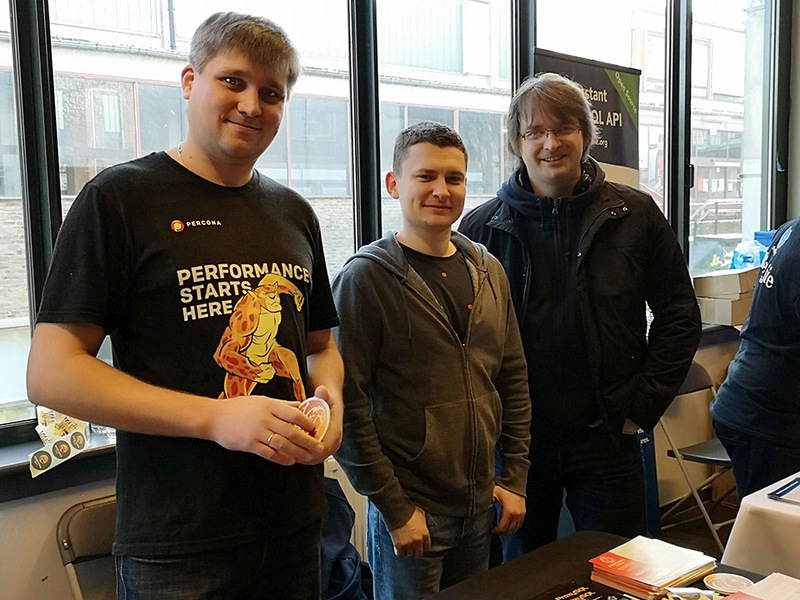 FOSDEM is that kind of event… we’re looking forward already to 2020!